Chiropractic is a drug-free, surgery-free health care system in which doctors treat the root cause of pain rather than just the symptoms of a condition. 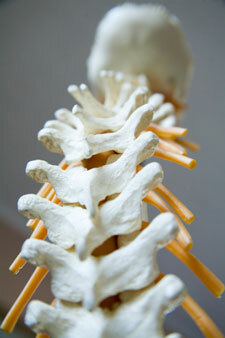 Chiropractic is non-invasive, safe and completely natural. Have you tried medical treatments and not achieved the results you wanted? Or are you just beginning to look for answers? Whether you’ve come to us as a starting point or a last resort, we want to help your body heal itself and get you on your way to living your life, free from pain and discomfort. When joints are irritated and not moving properly, the muscles around the spine tighten as a protection mechanism. A chiropractic adjustment gently moves the spine or joint to restore movement, relax the surrounding musculature and lubricate the joint, getting the body to function properly again. During an adjustment, you may hear a cracking or popping sound. Rest assured, nothing is breaking – this is simply the release of gas from the joint. Think of it like opening a can of soda – you are relieving the pressure of the gas that has accumulated in the joint. Athletes put an extraordinary amount of stress on their bodies in the course of playing sports, and chiropractic is a conservative, effective way to undo the damage it can cause. Athletes of all levels can realize the same benefits from chiropractic care, with the added gain of improved athletic performance. Which Techniques and Services Do You Offer? At Grossman Chiropractic & Physical Therapy, our primary chiropractic technique is Diversified technique. For patients demonstrating symptoms of disc problems, we also use flexion-distraction to help open up joints, stretch the muscles, and restore function. Your chiropractic care may be supplemented with physical therapy and other ancillary services. We offer this multi-disciplinary approach to provide you with the highest quality of care so you’ll see the best possible results. We are excited to offer our patients the best physical care in the area. The combination of chiropractic with physical therapy helps you speed your recovery and get back to doing what you love – free from pain, and without drugs or surgery. Why put your life on hold? Contact us today to learn more about our practice and to schedule your first visit.